Are you looking for the right Audi shop in Abilene, TX to provide you with the Audi repair you need? If so, you want a team that will care for your vehicle as if it’s their own and makes sure everything is right before allowing it back on the road. 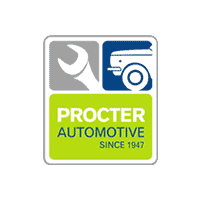 The right team for you is Procter Automotive where you’ll find the experts in the area when it comes to European brands of vehicle. When you need Audi service, maintenance or repair performed, this is the team that you want to trust. Let Procter Automotive provide you with the right Audi repair for your vehicle. This team of experts is who you trust for the Audi service you need and they know your car better than anyone else. Because of this, you know this is the Audi shop you’re going to turn to when your car needs to be serviced or repaired in the Abilene, TX area. Don’t trust your car to someone that doesn’t know it just to save a few dollars; let Procter handle everything you need and feel confident you’ve chosen the team that knows your car the best. When you have the right team taking care of your car it will drive better and continue to be the performance machine you want. This is why you should only trust Procter Automotive for the Audi service you need. Come in and see this Audi shop in Abilene, TX and see why they are the best when it comes to Audi repair or service. Whether you need an oil change, brake service, a wheel alignment or even a transmission repair, the team at Procter Automotive are available. The friendly staff and knowledgeable service technicians will make sure you feel comfortable and confident in the work they’ll perform on your vehicle. Procter Automotive can help you enjoy the drive with expert service for you.